F E R G U S O N releases new album ‘From the Door’ | Sonic Smash-Music! Brooklyn, NYC’s FERGUSON (often stylized “F E R G U S O N”) cites as main artistic influences Samuel Harris, his grandfather (“for the great collection of music we listened to”), Rakin, Big Daddy Kane, Tupac Shakur, and Jay Z. FERGUSON’s own sound takes elements from each of these and adds something fresh and unique for a result unlike anything today’s music fans have heard before. 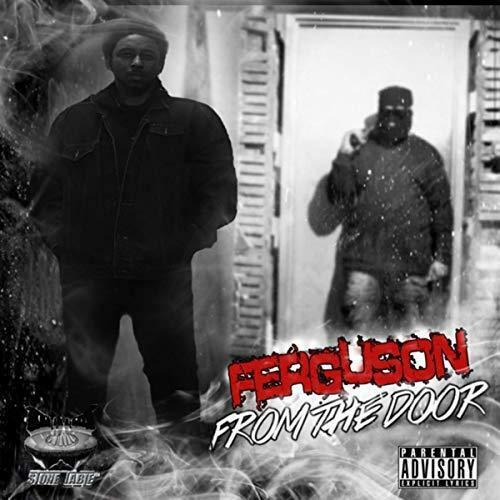 With an emphasis on rhymes, beats and bass lines, “From the Door” by FERGUSON has a little something for every avid hip-hop listener. FERGUSON has worked in various capacities with popular artists such as The Masterful CMT Miraculous, Shaggy, Ziggy Marley, D’Wyze of the B.U.M.S, CPO Boss Hogg, RBX, and the Sting International label. FERGUSON also published a feature on the movie soundtrack, “Showtime,” starring Eddie Murphy and Robert Dinero. This entry was tagged brooklyn, f e r g u s o n, ferguson, from the door, hip-hop, stone table music group.